For beauty enthusiasts, the journey to discovering the perfect skincare ritual is often filled with experimentation. But while seeking treasures that reveal your skin’s best potential, it can often feel hard to discern whether or not a product is truly working for you. 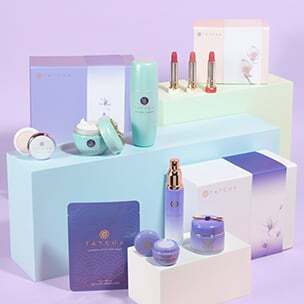 Whether it’s a lack of immediate visual results, an unexpected reaction, or simple curiosity that has you wondering, we’ve worked with The Tatcha Institute to create a guide that answers all of your common questions about skincare efficacy. Say goodbye to the days of “Is my skincare working?” and hello to your future as an informed beauty lover — it all starts here. Question: What are the ways to know that a skincare product is working for me? Are there any telltale signs to look out for? Answer:The best sign of a skincare product working is that it feels comfortable on your skin… in some cases, so comfortable that you might not even notice it’s there! You might wake up in the morning and notice that your skin feels softer or smoother than usual, or you might look in the mirror and notice that your complexion seems a bit brighter and more radiant — but sometimes, it takes a while to notice these differences. After all, when you look in the mirror multiple times daily, the tiny changes might be lost on you! There are two great, easy ways to gauge progress with a new skincare treatment. First, through photos: take a “before” picture of your skin the first day of use. Take another on day seven, then after two weeks, then after a month. These visual progress reports should reveal the subtle changes in your skin. The other option requires a bit of mindfulness and awareness of your own skin, but nobody knows you like you do! Try noting a specific problem area, then monitor it throughout your treatment. Do you have a specific bumpy area on your forehead, or an intense dry patch near your nose? Consider that your “test” zone for noticing changes or improvements after introducing a product. Question: Do I have to feel skincare products working, or can they be effective without prickling/burning? Answer: Definitely; you don’t need to feel any prickling, itching, or burning sensations. In fact, experiencing such effects while using a new product is a clear sign that it's either too strong for your skin, or the wrong format of a treatment for you. Itching and burning is a sign of barrier disruption. Your skin is naturally meant to protect you — maintaining a good skin barrier is fundamental to good skincare, so you should always be mindful of product pH. Avoid extreme pH ranges, which can create micro-tears in skin, to avoid this type of barrier disruption in your everyday ritual. The only time you should seek to disrupt your skin’s natural barrier is under supervised medical treatment; this type of dermatological treatment is not ideal for at-home use, because you can end up overly sensitizing your skin. The western beauty world teaches consumers that they need to feel burning for a product to work, but this is one of the biggest untruths in skincare. Your skin exists to protect you, and it communicates when it likes (or dislikes) something. Burning and itching is a loud and clear indicator that your skin is unhappy with what you’re doing to it, so be sure to heed those warnings. Amongst our scientific team, we like to use the phrase “beauty without the burn” to describe our goal when formulating treatments: create treasures that are kind to skin. Question: How can I tell if my barrier has been disrupted and my skin has been sensitized? Answer: Unfortunately, it’s quite easy to tell when your skin has been sensitized, because — as you might’ve guess based on the term — your skin generally becomes more sensitive. Because it exists to protect you, healthy skin doesn’t react to its everyday environment. However, when your skin’s barrier has been compromised, everything can cause it to react. Your skin will feel much more affected by weather conditions and temperature, and you’ll be far more reactive to sun exposure when your barrier has become disrupted. Even water can burn sensitized skin, and old beauty favorites can suddenly cause reactions. Question: How long does it typically take to see worthwhile results from a skincare product? Answer: The best skincare is preventative, which — by definition — helps avoid issues instead of solve them. A multivitamin doesn’t cure a cold, but it does help to keep your body in optimum health so that you’re less susceptible to catching one. Skincare often operates in the same fashion. The idea of overnight transformation is an extremely western attitude toward beauty, and shouldn’t be what we seek from skincare. With that being said, however, here’s what you can expect to see when introducing a new treatment. Any results timeline truly depends on the type of product you’re introducing into your ritual: some skincare has instant results, some products provide both instant results and effects that develop over time, and other skincare treatments only work over time. Cleansers and sheet masks, for example, should work instantaneously. Exfoliants and essences typically make an instant tactile difference in skin, but visual results usually won’t show until you’ve used them for a while. Generally, when it comes to skincare results, you can feel a difference sooner than you can see it. A visual (not tactile) difference in skin should take at least a full 30 days to notice with daily use of a new brightening treatment like our Violet-C Brightening Serum, because brightening results go hand-in-hand with skin cell turnover. After a full cycle of skin turnover, you can observe whether the skin that’s resurfacing looks and feels healthier than it did before. When using this sort of vitamin C treatment, it’s important to maintain daily use in order to experience visible results and provide the routine nourishment necessary for general skin health. Question: How long should I use a new skincare product before giving up on it? Answer: Try to give your new product the appropriate trial period listed above, while not introducing any other new products to ensure an accurate assessment. After the 30 days — or the 45-60 days depending on the intensity of your treatment — evaluate how your skin looks and feels, then make your determination about whether to continue use. At the end of the day, if you don’t feel satisfied with a new product or treatment, you shouldn’t feel obligated to continue using it. Find what works for complementing your own unique beauty. Question: What are some signs that a skincare product or treatment is not working for me? Answer: Beware of immediate negative effects, such as redness or irritation, which can quickly signal that you’re reacting to a new product. If you’re seeing any dramatic changes that don’t feel good for your skin, it’s probably not the right treatment for you. It’s important to note that, even if a product has been clinically and dermatologically tested to be non-irritating and non-sensitizing, it doesn’t mean that you won’t have a personal sensitivity. Generally, ice cream is great for most people! But even with the tastiest scoop of ice cream, you won’t enjoy how it feels for your body if you’re lactose intolerant; the same concept holds true for skincare. A good rule of thumb when introducing new skincare is to patch-test — we recommend somewhere like the neck near your ear, or on your inner forearm — for a day or two before applying to the face. Personal sensitivities will usually make themselves known shortly after application. Question: Is there anything I can do to make my new skincare product work more quickly, or more effectively? Answer: Absolutely! By gently exfoliating skin daily with a treasure like The Rice Polish, you can stimulate skin turnover and accelerate visible results in your new treatment. Additionally, applying a formula like The Essence helps enhance the performance of skincare that follows, using it before a treatment like the new Violet-C Brightening Serum will enhance the efficacy of that formula. Have even more questions about how to care for your skin? 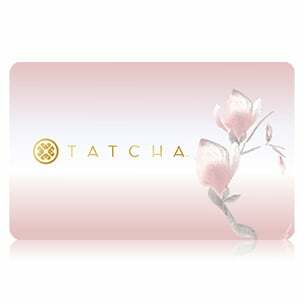 Tatcha’s team of experts would be delighted to assist you. Please do not hesitate to contact us any time.